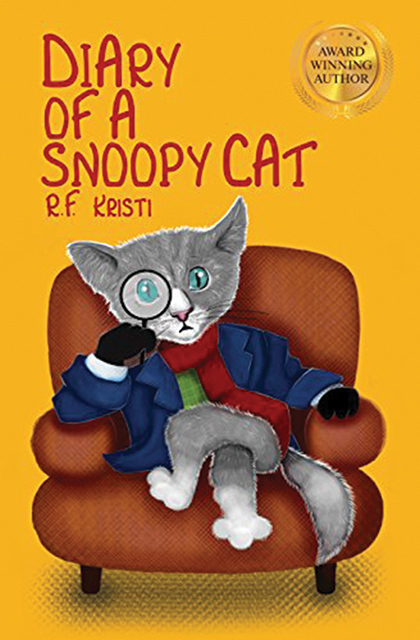 The story begins when Inca, a self-professed, “good-looking” Siberian kitty and her family move to London from Paris. Inca and her “troupe” soon make interesting new friends, one of whom, a Golden Retriever, who is the furry assistant of a world-famous detective. Inspired by her new associations, Inca adopts the goal of becoming the world’s best cat detective. When Inca decides to start keeping a diary, she has no lack of exciting exploits to write about. As she takes on her first case, chaos and hilarity ensue.